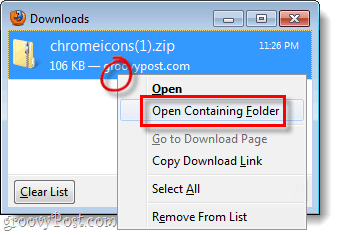 Firefox 4 handles downloads roughly the same as Firefox 3.6, but the interface has seen a face-lift. You can still change up your default download location in Firefox 4, or just make it ask you for a location with each individual download. This is always the first setting that I adjust when using Firefox, so I’ve posted our groovy instructions for customizing it below. On the General tab of the Options window, you have two different ways to setup downloads. 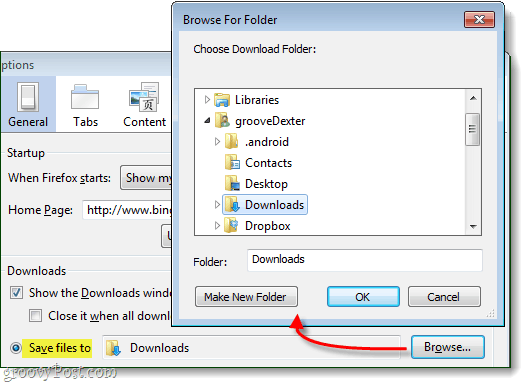 This setting will automatically save all of your downloads to the same location; the folder specified. If you want Firefox to ask you what folder to save your downloads in every single time you download something, go with this option. If you go with this option, you can select any folder on your computer that you would like to save your files in. The default should be the Downloads folder, but it might vary depending on what version of Windows you are using. To change this, just Click the Browse… and then Select the folder you would like all downloads saved to. 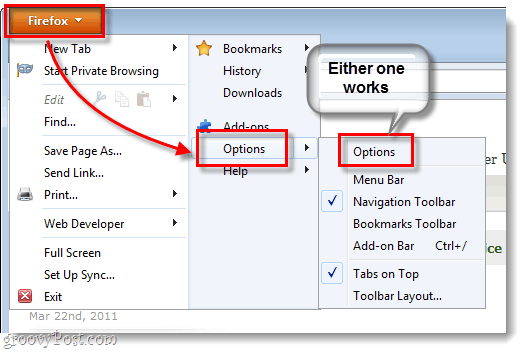 If you went with the “Always ask…” option, Firefox will display an Explorer prompt every time you initiate a download. 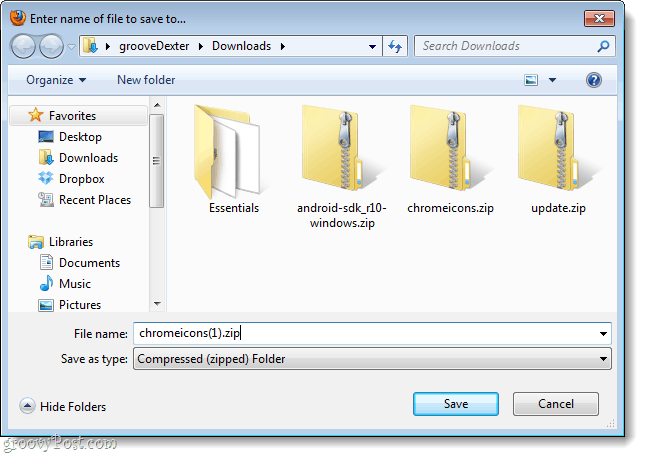 This prompt will allow you to specify exactly where you would like each individual download to be saved. Firefox will also give you the added bonus of changing the name file before it is downloaded. 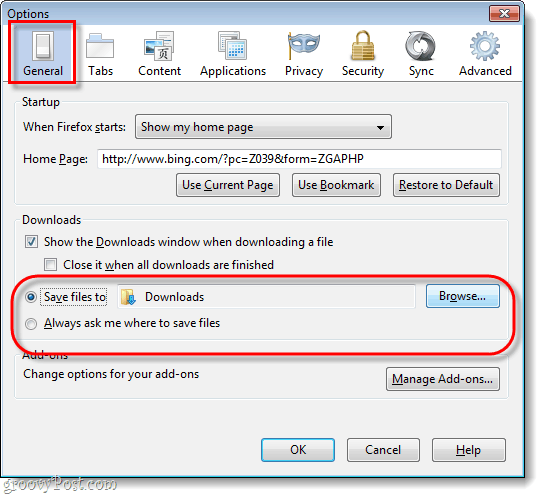 Now Firefox 4 is set to download file in the manner that you prefer. Also, if you ever forget where you are downloading files to (or you just want a quick way to access the containing folde) you can Right-Click the file from the Firefox Downloads window and Select Open Containing Folder.